My Best Cheltenham Bets of all Time! 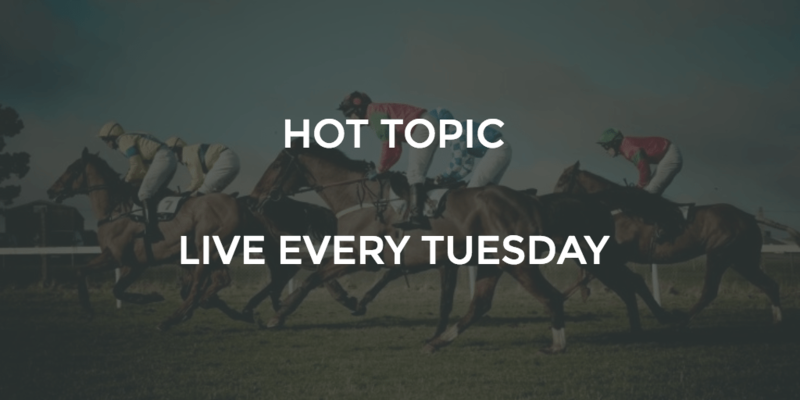 The countdown continues, the clock is ticking and as we continually get in the mood for Cheltenham today we talk great bets with JPW Racing Tipster. We sit down and fondly remember those days when it just all went right! Enjoy – and let’s have the same again this year! I was having a dreadful Friday and it had not been a great festival overall. The last race of the day one final chance to save the day and the members. I had actually been harping on about OISEAU DU NUIT all day about how much value he was at 25/1. Come 5 minutes before the race OISEAU DU NUIT had drifted to 40/1 and I couldn’t quite understand why? My first reaction was if he is 40/1 with the bookies then what sort of price was he with the Tote. One minute to the off, 72.0 with the Tote. I steamed straight in with a decent size bet WIN ONLY. I would’ve kicked myself if he finished 2nd and going WIN ONLY was against everything I follow 99.9% of the time but I suppose something was urging me to place the bet. OISEAU DE NUIT won with something in hand and the feeling was absolutely amazing. Not only were my members on at anything between 25/1 and 70.0 on the exchanges but I had just wiped the floor with the Cheltenham Festival but waited until the very last race. The Tote settled at 69.40. Amazing memory and amazing feeling. The night before the race and I was very keen on a horse called Edeymi trained by Tony Martin but I needed to check the angle in which I was taking was correct so I went through the field numerous times. UNE ARTISTE was priced up at 33/1 and trained by Nicky Henderson. Henderson has always done well with Juvenile’s so I did a bit of digging into the form of UNE ARTISTE. She won on her debut at Haydock and was then sent to the Adonis Hurdle which is a good trial for the Triumph Hurdle. She came home 4th of 8 and the winner of the race Baby Mix was now a leading fancy and 6/1 for the Triumph so the form was decent even if she was beaten by a distance. UNE ARTISTE had a handicap mark of 127 going into the race and Jeremiah McGrath was claiming a further 5lb. He was set to carry a tiny weight of 10st 3lb which considering she had just contested the Adonis Hurdle and basically runs off 122 with the claim factored in the price of 33/1 was absolutely huge. She came over from France with 3 wins and had won going left handed at Haydock. Cheltenham on paper could suit and her effort at Kempton may have just been the fact she was going right handed. All these factors were taken in and in my tissue I priced her up at 16/1. I couldn’t say I was confident she would win because of her price but I knew I had found a real gem and her price was huge value. Come race time she had drifted further to 40/1. UNE ARTISTE was given a super ride and came home the winner by 2 lengths. Another huge winner the year after Oiseau Du Nuit. Cheltenham completely smashed to bits with one huge winner yet again. These bets don’t come around often but give you the greatest satisfaction when your form study and angles come out on top. Members were over the moon and this day goes down as one of my 3 bets to remember. Bet 3 – Doubters, Silenced. Obviously not one of my biggest odds winners but SPRINTER SACRE winning, gave me no better feeling. To comeback after all his troubles and to have a big lump on him is a bet I will never forget. It goes down as one of my best feelings when a horse past that winning post. Whether you had bet the horse or not the crowd that day went mad for the superstar. I had been doing a few preview nights leading up to Cheltenham locally and it is safe to say I got slated for tipping up Sprinter Sacre by other ‘so called experts’. I took it on the chin and was adamant he would go close. Why was he 5/1 when you only had 2 possible outcomes in the race? SPRINTER SACRE will either try to take it up to Un Des Sceaux 2-3 fences out and fail to get past or he will try and succeed. They were the only 2 possible outcomes as, at the end of the day, Nico De Boinville had to see if SPRINTER SACRE still had that turn of foot so it was guaranteed he was going to try to go past Un Des Sceaux. This made the 5/1 on offer look ridiculous in my mind as Un Des Sceaux had so many question marks on proper genuine good ground which the sun had been shining on. The rest is history and the legend only went and bloody won. What a race, what a day and what a memory which will live with me forever. 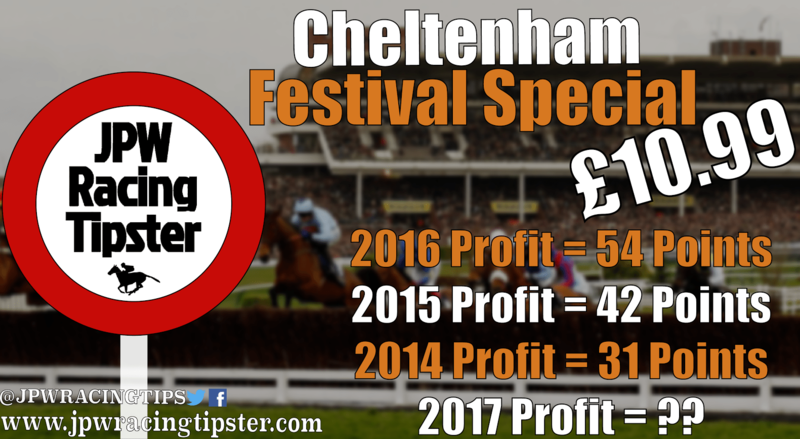 The Cheltenham Festival is just around the corner and for the last 7 years we have made huge profits. I am confident we will be winning big again this year. The studying started 6 months ago, I have literally been eyeing up certain horses and watching every race with a view to Cheltenham. I believe I am one of the best at getting the Cheltenham Festival right and I know exactly what type of horse is needed to win each race. As every year we will be doing a Cheltenham Festival Special and you can get the whole 4 days of tips with extensive write up on why I fancy the chances of each horse, for ONLY £10.99. Massive value considering the work which has gone into each selection. Simply click below to be directed to the page. We only have 49 spaces left so be quick to sign up before they sell out. I’ve just bought you’re Cheltenham special. Can you tell me,how I can access the tips ?. Are they sent by email ?.